In this festive season, it is a common tradition for families to gather together for a celebration. It’s not only the best time to share foods, open gifts, or watch the dancing Christmas lights, but also the best time to be reunited. For some people, it may be too convenient to drive around and arrive at the planned destination. But for elder people, especially those with frail conditions and limited mobility, it can be perilous. Whether they are from home, from a residential care center, or wherever they may be, we cannot let them drive by themselves. Are we gonna let them stay homebound this festive season? I bet none of us will let that happen. As such, it may be advantageous to hire a Non-emergency Transportation in Texas. 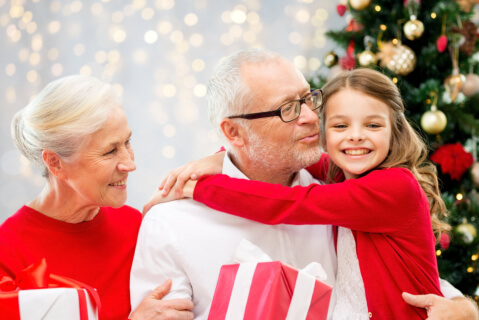 Force EMS, a Medical Transportation in Longview, Texas, can help you or your loved one enjoy the festive season despite any problems and hindrances. We provide safety while en route to your appointments when attending a family gathering, visiting a loved one across the town, and even to your medical appointments. If you are a patient who needs the necessary equipment while on the route, there’s nothing to worry about. Our transport vehicles are geared with essential technologies to cater to your needs while on board. Apart from that, we can provide nurses to facilitate your safety in case anything happens. Truly, it is the best season for family gathering. Isn’t it a relief that you can now celebrate together as a family this jovial season? You or your loved ones need not worry about not being able to attend a family occasion. With our Medical Transportation Services, you can be assured that you’ll get to your destination safe and on-time. This entry was posted in Festive Season and tagged family gathering, family occasion, Medical Transportation. Bookmark the permalink.